CAPE is a charter school located in Camarillo, California. We started this process with most of the class listening in on our first teleconference. The students that were interested talked with our teacher, Mrs. Kavon, and joined the group. We met once a week and decided on what topics we wanted to focus on. Our class is very interested on learning what is going on in our world, so we finally agreed on having a collection for Current Events, Books, and A day in the life of a Camarillo Teenager. We have all enjoyed this opportunity to archive our current lives for future generations of teenagers like us. Chief Umtuch Middle School has 580 students in four grades (5th – 8th) and is located at the center of our school district.Battle Ground is a small rural town near the Columbia River, north of Portland, Oregon. Students from all over the Battle Ground School district come to this school to participate in the Aspire Program, a magnet program for gifted students. We are the 8th grade Aspire Class at Chief Umtuch Middle School. 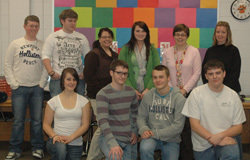 We are a class of 17 students and are doing the Archive-it project as part of our Language Arts/History block class. James Moran Middle School is located in Wallingford, CT half-way between New York and Boston. The Library of Congress Archive group was made up of 25 volunteers who met after school to select websites for inclusion into the Archive. After selecting almost 100 websites, we found patterns that were used to create our three collections: Entertainment, Shopping, and Social Networking. It was incredibly exciting to be able to contribute to the collection and have the opportunity to be involved in helping to write the history of our era. Hopefully when historians are able to reflect on our entries 1000’s of years from now they will see how we had a strong need to connect, create, and of course, go shopping online! Public School 174 Queens, located in Rego Park in New York City, is named after the 19th century American painter William Sidney Mount. The idea of archiving sites is new to us and we like the idea that we can go back to these sites when we’re older and look at what we liked to visit online in 2012. We just never thought that we could save web sites and we assumed that when sites changed, the old ones were gone forever. It’s a good idea to archive sites which we’ll appreciate more when we get older. 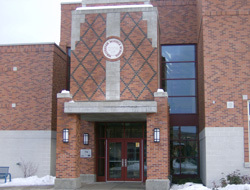 Pleasant Grove High School is a public high school located in Central Utah. 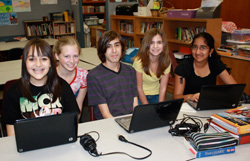 The students participate in the Archive-It program in a student run club. 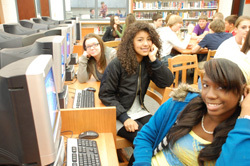 The students enjoy this great program that allows them to find what is interesting and important to them. One of our students said, “It allows us to make an impact on our history and let us know that our opinions matter.” Our students love to learn and be informed about the world we live in. Rosman High School is a small school located in rural western Transylvania County in the southwestern mountains of North Carolina. We felt it was important to show the world some of our cultural heritage within the Internet. Our Transylvania County collection is a reflection of what our county has to offer. 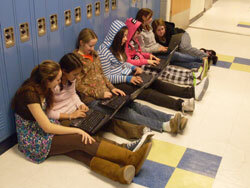 For our second topic, we discussed what most teenagers do with their time on the Internet. Not surprisingly, the answer was “Waste Time!” So, our second collection became our waste of time. 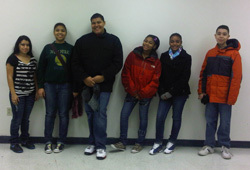 The Urban Collaborative Accelerated Program is a small independent middle school located in Providence, RI. 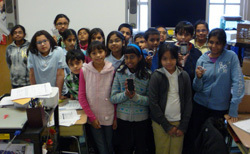 Students from three urban districts (Providence, Cranston, and Central Falls). Our Archive-It group consists of a variety of students who meet biweekly during lunch in our library with our Teacher Librarian Darshell Silva. They are a diverse and creative group who have very lively discussions about which websites should be archived and why. 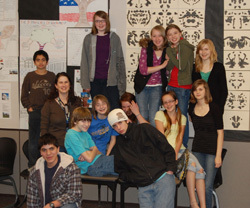 Whitefish Middle School lives at the base of Big Mountain and Whitefish Mountain Ski Resort. We are only 25 minutes from Glacier National Park and we get to pick wild huckleberries each August. It is common to see whitetail deer in our backyards, even in town. One of the best spots is Whitefish Lake where families ice-fish, boat, or just hang out at City Beach.